As most of you know I've just been to the sunshine state and had a fabulous time at Disneyworld once again! We had the best time ever and I loved sharing our time away with you guys via social media! 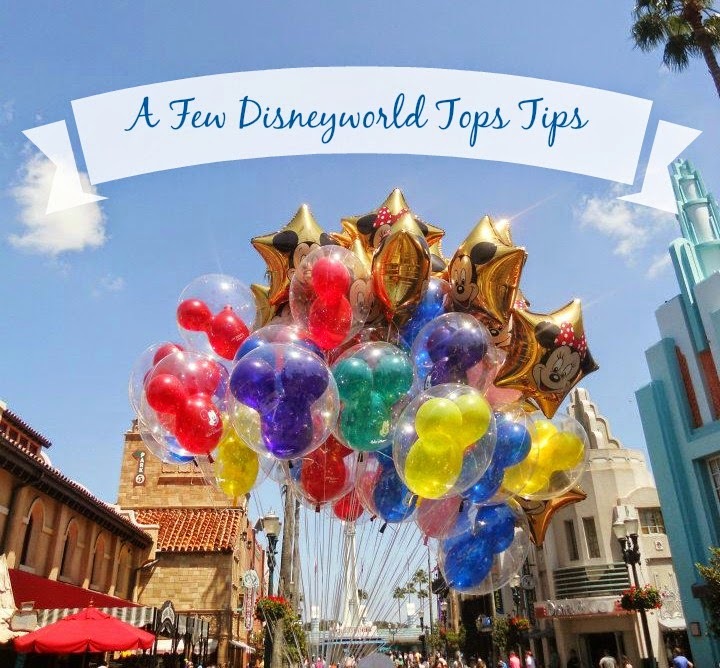 Whilst I was away I was asked a few questions about certain things so I thought I'd do a little tips post for anyone wanting to know more - things to read maybe if you're a first time Disney go-er and don't really know where to start with it all! Please bare in mind that when I've been previously it's been with either a friend or my boyfriend, so some of these tips may not be the best for large families booking! I know all you probably want to do is book and leave tomorrow but I really think, as frustrating as it must seem, that having lots of time to prepare is vital! I had 9 months this time round to sort everything and save and even I thought that was a squeeze! Make sure you work out enough time beforehand to save all the money you want to take with you, if you're going to stay for 2 weeks I'd say you'd need a minimum of $1000 per adult - we took a bit more than this as we wanted to be able to do everything we wanted and not have to worry, which turned out to be the best choice! Plus when your booking with a fair bit of notice there tends to be lots of deals, offers and savings on, especially when you're booking through Disney themselves. I've only ever stayed on site so it's kind of all I know but I don't think I would want it any other way. The deals you can get booking with Disney are a whole lot better and probably cheaper than you would if you were booking through another travel agent. For example for my most recent trip my boyfriend and I got : Return flights to Orlando from Gatwick flying with Virgin Atlantic, a room at Disney's Pop Century Resort (Large room with 2 double beds) for 2 weeks, a 14-day ultimate park ticket for all 6 parks plus Disney Quest and transfers for less than £2500. That's less than £1250 each - which I think it a total bargain! And the benefits don't stop there, when you're staying on site you will be entitled to a certain little thing called Magic Hours. Magic Hours are extra opening times for the park for resort guests. The best time is when the parks regular hours are 9am open but magic hours are from 8am - get in and out the park before most people have even arrived! Each time I've been I have been super lucky when it comes to crowds and queues. I went in March just before Easter and most recently mid-end September. Both times I haven't queued more than 25 minutes for anything (at either Disney or Universal). I've heard what it's like in the summer and at Christmas and for me personally even though the weather is better in summer and the atmosphere sounds amazing in December I would rather go at a quieter time even though there is a risk of rain! Our holiday last month was amazing, September is when kids have all gone back to school and it is alot less likely that parents are going to take them out of class when they have just started a new year, plus they get fined now! 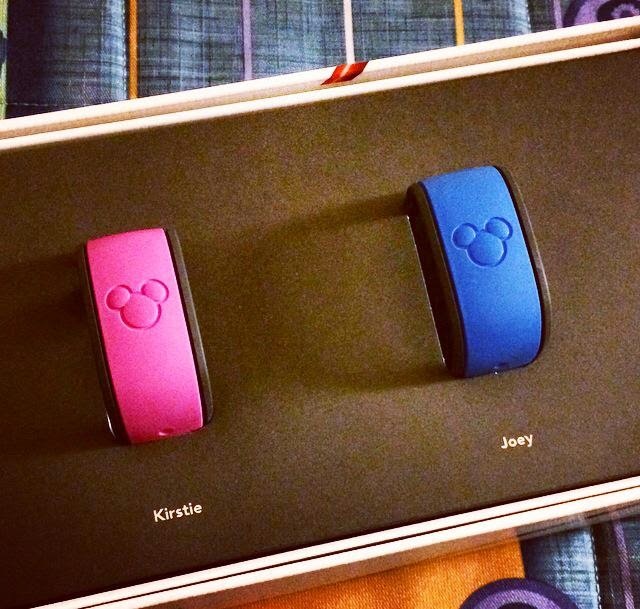 When staying at a Disney resort your magic band is your room key, park ticket, fast passes and you can also link your bank/credit card to it to use as payment - which is a genius idea especially for the water parks! You can leave your hotel not having to worry that you have your room key, wallet and tickets as it's all in one place - on your wrist! As far as I know you can get these even if you aren't staying on site and I would high recommended them - so convenient. The next thing I'm going to mention does cost a little extra but for me it was worth every penny. Memory Makers are a photopass system which means every photo you get taken inside the parks, whether it be on a ride or in front of Cinderella's castle, is put onto a digital account for you. These accounts can be linked to your magic bands also so all the photographer needs to do is scan your band after they've taken the pictures and if you're on a ride it does it automatically.... don't ask me how - I was amazed also! I'm the sort of person who loves getting the photos from rides as I find them hilarious, so to know I was going to get all of them made me super happy and less stressful when it came to deciding whether I wanted to pay out for it or not. Photos can be like $20 each and this beaut is only $149 if you buy it 3 days or more in advance - well worth it, I love the photos we got! Comfortable shoes are a must! The amount of walking you will do is insane - I was totally exhausted everyday! As hot as it may get I really think trainers are a must, a few hours walking constantly in flip-flops can become uncomfortable and you don't want to have to cut the day short because your feet hurt! Don't get me wrong flip flops are also a must, especially for the water parks and chilling at the pool just make sure you take a range of different footwear! Bag wise you need to remember that you are going to be taking and posing for photos 24/7, going on rides and walking round lots. This in mind I think across -body bags or bags with a long strap are perfect (although nothing too big!) - hands are free. they are easy to get things in and out of plus easy to get off when hopping on a ride or posing for a photo! As much as it's fun to go with the flow and relax it is best to have some sort of plan for your days! We set alarms each morning and knew exactly where we were going, what time we wanted to get there for and what we were heading too first! We also pre-booked our fast passes days in advance, although if you can I'd say choose them as early as possible! Rides like Toy Story Midway Mania & The Seven Dwarfs Mine Train were completely out of fast passes by the time we went which actually lead us to never going on the mine train - sad face! You can do all of this on the My Disney Experience App! I mentioned it earlier but I would 100% recommend getting up early as tackling the parks as soon as they open! This is the quietest you'll see the parks as not everyone can be bothered to get up, have 1 million kids to get ready or are super tired from the day before! There were some days where we had done all the big rides by 9am and the queues were still that short that we could go and do them again! This way aswell you can be out of the parks by lunch and the time everyone has arrived for the day and head back to the pool or a water park for a relaxing afternoon before heading back out again in the evening! I don't know about other people but I find the amount of food given in the US far too much most of the time and this is why it's great that Disney serves kids options. I know they are made for 12's and unders or whatever but for me they are normal size servings and they save you money! Another good way to not waste food/over eat and save money is too share a meal (lunch) - for example you can get 8 chicken nuggets with a portion fries for around $9, but this is the perfect size to share with someone, we did this alot! 9. Want To Eat Out? BOOK! There a so many amazing restaurants in and around the parks and resorts at Disney but because they are so amazing they are, of course, constantly fully booked! So before you go plan some meals, whether it's breakfast, lunch or dinner you will be so glad that you did! I would have loved to have eaten a the new Be Our Guest resruant in Fantasyland but I didn't book in time and it was impossible once we were there! We did have some lovely meals at Downtown Disney though at Planet Hollywood, T-Rex & The Rainforest Cafe!! Walmart isn't far away from the Disneyworld site and there is so so much you can get to make your trip a little easier and a little cheaper! I find Walmart great for getting things like bottled water (saves paying the $2.50/$3 per bottle in the parks), breakfast bars and crisps to take will you each day to keep hunger at bay and avoid paying for lunch in the parks each day! You can also get some great gifts in here, they sell loads of Disney merchandise and clothing at a fraction of the price of the parks, great US sweets and awesome cheap make-up and toiletries. They basically sell everything so it's a one stop shop for all your holiday needs! So there's just a few little tips for you guys, I hope they were helpfulish? Have you been to Disney before? Counting down the days to your flight? Let me know!! If I ever get there, I shall be printing this off and taking it with me for sure! Great tips, I'd love to go to Disney Land! Those magic bracelets sounds incredible! How do the photos from the rides go on them? That's some kind of wizard magic right there! I love all these tips: I think at every theme park you need to have a plan if you're going to enjoy it fully. I just got back from Disney World too, and completely agree with all of these points! I loved the magic bands so much, and planning everything in advance using the My Disney app made everything so easy! I would also recommend checking theme park blogs for top tips about where to watch parades/fireworks from - we watched the Festival of Fantasy parade from the top of Main St Station and had the most incredible view! Myself and my boyfriend will be booking in the next two months to go next October so we have enough time to pay it off and save save save for everything extra! This makes me want to go so so badly! 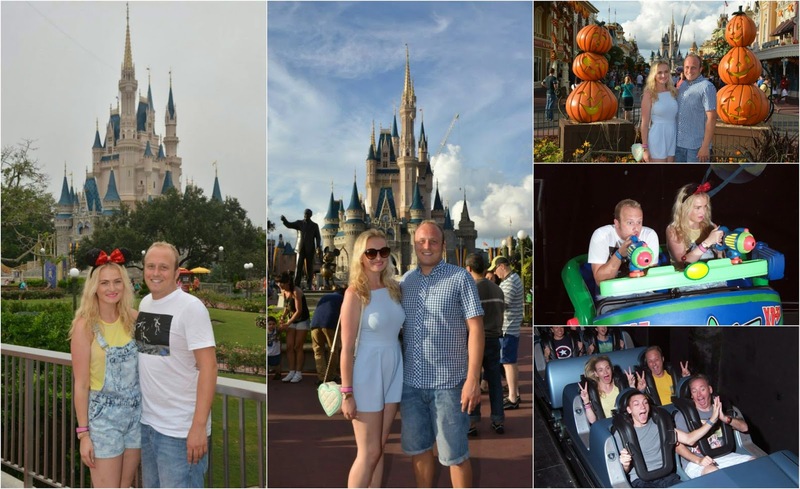 I've only ever been to DisneyLand Paris and i am dying to go to Florida, such a good post!